One whole year. That's how long it's been since we found out you'd be joining us. But you had started growing weeks before - seven weeks to be exact. I took the test while your dad was at work, just knowing it would be another negative I could toss in the trash. 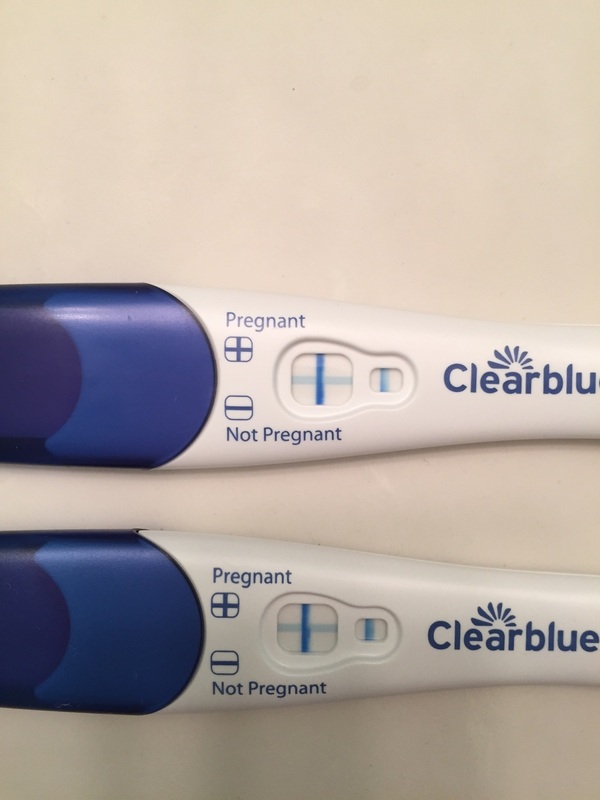 I couldn't be pregnant. Not now. Not after we'd put our plans to start a family on hold while we prepared to move abroad. Not after nearly a year of trying - complete with charts and vitamins and diligently working to be in the best physical shape possible. Not after all those months that ended in disappointment. We'd put our house on the market and found an apartment in Germany. We were ready to leave the U.S. - no strings attached - for two years. We'd just returned from Europe a few days before. I couldn't fathom the thought (or smell) of the Neuhaus chocolates we'd brought back from Belgium. I was exhausted and nauseous and an emotional basket case. Your dad joked that I was probably pregnant, but I was convinced it was just jet lag. But there I stood, on the cold tile floor in our bathroom on a Monday afternoon, staring down at a stick that revealed a dark blue vertical line. There was no doubt. My heart raced, and I looked in the mirror at someone I didn't recognize - in an instant, I had become a mother. No one can prepare you for that feeling. I went downstairs and sat on the couch for over an hour, but I couldn't even come up with some creative way to share the news. Your dad came in the door, and I just blurted it out. We were shocked, nervous, and so very excited. One year ago, while you were growing inside of me (and wreaking havoc on my appetite), I could never have imagined what it would be like to have you here. You were worth it all: The waiting and wanting. The weeks of surviving mostly on ginger ale and clementines. The discomforts of pregnancy and the pain and chaos of bringing you into this world. The (still ongoing) sleepless nights and long days fueled by coffee. Every bit of it. Times a million. One whole year. That's how long it's been since I discovered you existed, but I feel like I've loved you forever. It's hard to remember what life was like before your gummy smile and big blue eyes. You are one great big bundle of sunshine. Sweet boy - you are more than I ever knew I wanted, and I am eternally grateful and beyond humbled to be your mama.